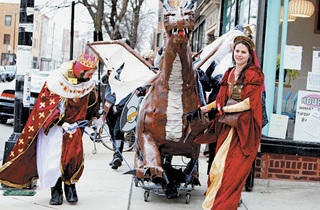 The philanthropic shopping-cart race enters its eighth year. Sets of five outrageously dressed characters frantically maneuver a shopping cart down Division Street and Wolcott Avenue in East Village. One is a group of Muppets; another, a gang of hot dogs. A band of paramedics wheels a Whitney Houston dummy in a shopping cart outfitted to look like a bathtub as onlookers cry, “Too soon, too soon!” They’re all past participants in the Chiditarod. Now in its eighth year, the Chiditarod, whose name alludes to Alaska’s famed Iditarod Trail Sled Dog Race, is a 21-and-over charity event. On Saturday 2, teams of five will race shopping carts carrying 55 pounds of food to and from set destinations (in the past, they’ve usually been bars). All of the fund-raising happens before the bout, so on the day-of, teams get drunk, perform ridiculous skits and sing karaoke at check-in points. Finishing the race? Optional. 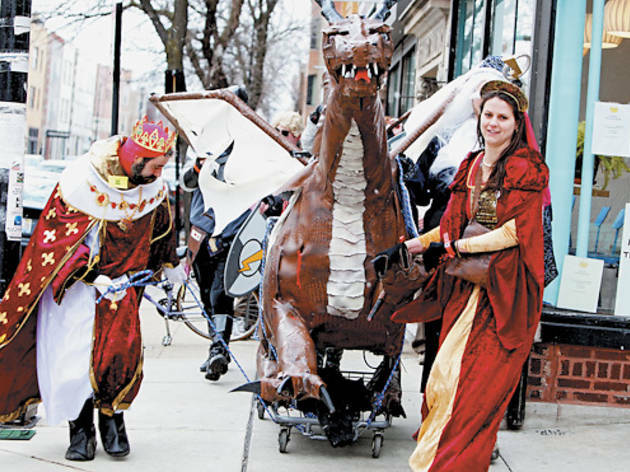 The Chiditarod starts at the corner of Wolcott Avenue and Hubbard Street Saturday 2 at noon. Visit chiditarod.org for more information.